Close before the tax year ends. It typically takes one to two months from signing a purchase agreement to closing, so sellers wishing to sell their home before the calendar year ends need to consider listing in October. This is particularly helpful if you’ve already purchased a home and want to finish the year with a level balance sheet. Buyers are more serious. 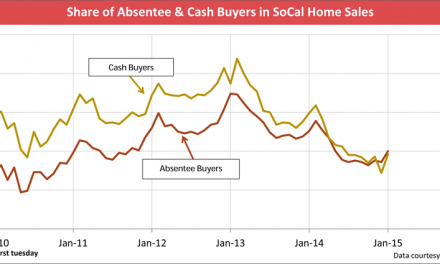 Buyers who shop in the fall months are often more serious than spring and summer buyers. Many spring and summer buyers will buy if they can close before the school year starts, but the impetus for fall buyers is usually more immediate, like a job relocation or a changing family. This means deals are more likely to close and you’re less likely to be hassled by showing the home to unmotivated buyers. More attention from agents. 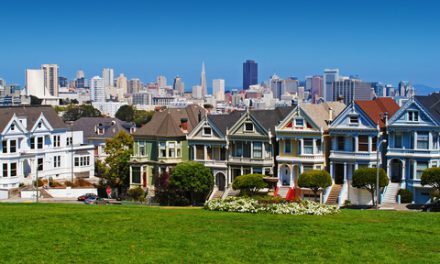 The busiest time of year for real estate professionals is summer. Sellers who list in summer have to compete for time with their agent, lenders and inspectors who juggles multiple clients during the peak summer months. 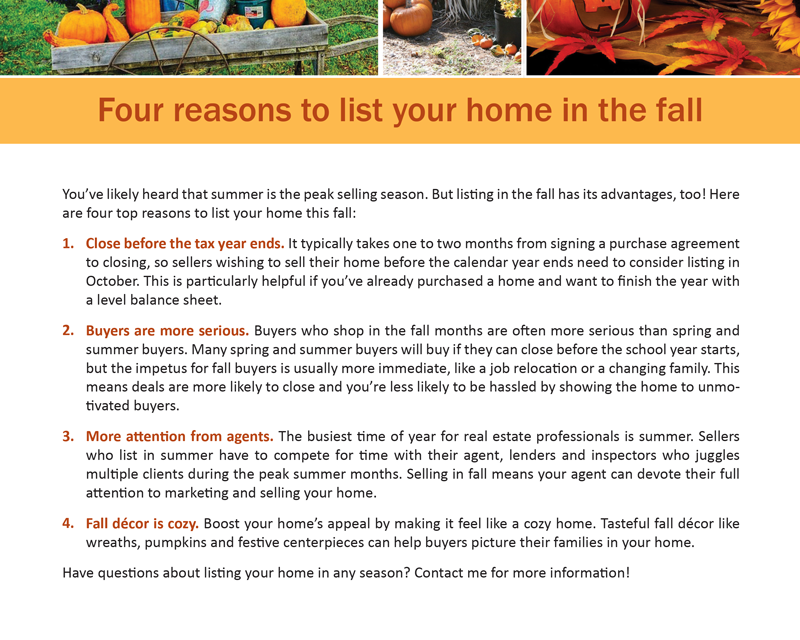 Selling in fall means your agent can devote their full attention to marketing and selling your home. Fall décor is cozy. Boost your home’s appeal by making it feel like a cozy home. Tasteful fall décor like wreaths, pumpkins and festive centerpieces can help buyers picture their families in your home. 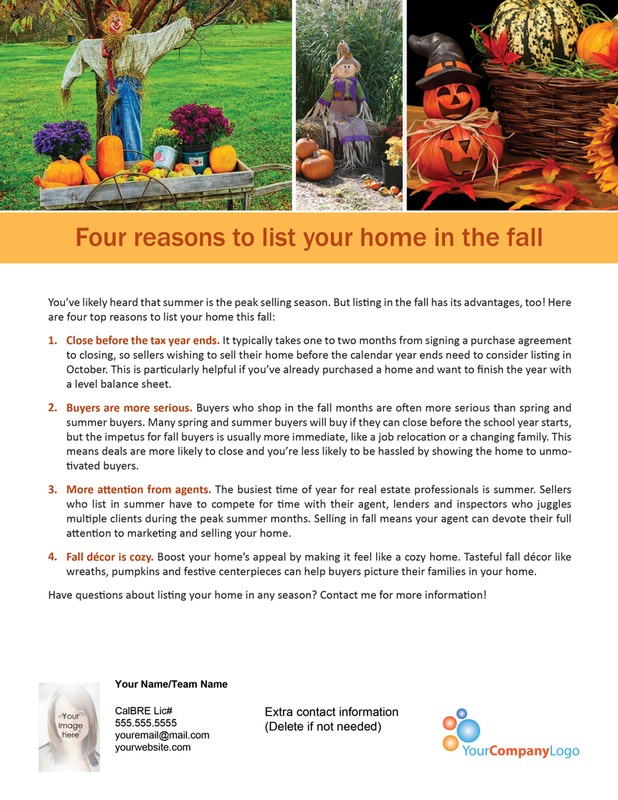 Have questions about listing your home in any season? Contact me for more information! 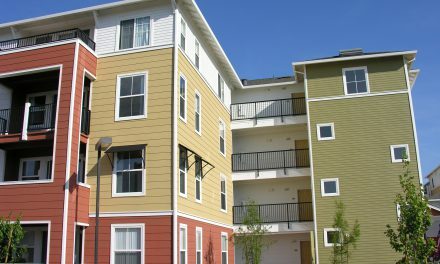 NextIs the U.S. housing market at risk of another bust? 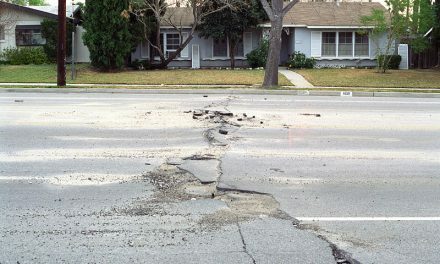 Does a seller’s agent owe a duty to the buyer to confirm an earthquake fault hazard report is compliant with current earthquake investigation standards?